Book Review - "Cheaper, Better, Faster"
Mary Hunt, the founder of Debt-Proof Living, has compiled a huge collection of tips for everyday life in her book, "Cheaper, Better, Faster: over 2,000 tips and tricks to save you time and money every day." The tips are divided into 16 chapters and are organized, so that it easy to find a tip in a specific category that you need in the moment or an area you are trying to save money in or make changes in the near future. There are tips for saving money with cleaning products, tips for making gifts and giving creative gifts that do not cost a lot of money, health and beauty tips and tips for maintaining a home. This is such a handy book that every home needs to have a copy in it! It is filled with so many tips and ideas of such a wide range that every time you open the book, you will find a useful tip. I think my favorite chapter is the holidays and special occasions one. There are a ton of ideas for having different Christmas parties or making the party preparation easier and simplier and also ideas for creating new traditions. I have been impressed with each of Mary Hunt's books that I have read and this one is another winner! Book Review - "The Dilemma of Charlotte Farrow"
"The Dilemma of Charlotte Farrow," is book 2 in Olivia Newport's Avenue of Dreams series following book 1 "The Pursuit of Lucy Banning." Charlotte is a servant in the Banning household and yet she has a secret that could get her fired from her position if someone finds out. Lucy knows Charlotte's secret, but she is away on her honeymoon. During this time, Charlotte's secret, her baby boy, is left in the Banning's courtyard and Charlotte must think fast and make difficult decisions in order to protect herself and keep Henry safe. Not only does Charlotte have to deal with her duties in the home, and protecting Henry, but she also is trying to protect her heart as Archie declares his love to her. When Charlotte finds out that her son may be given away, and at about the same time someone from her past shows up, Charlotte must decide fast what to do and cannot wait for Lucy's return to ask her advice. I loved book 1 and book 2 is just as good! I love that not only do we get to hear more about the Banning family, but we are privy to the servants' world and life as well. Charlotte is such a great main character and I found myself admiring her strength and determination throughout the book. Of course, Lucy is very admirable and I love the role that she and Will play in the story! Emmaline is a character whom I also admire and respect, she made hard decisions of her own and I would love to find out she still has contact with Charlotte and the family. The historical details that are included as so much to the story and the really bring the time period and Chicago alive! 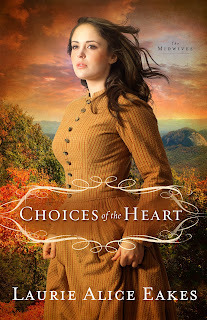 I am looking forward to the next book in the series and wonder who will be the main character, perhaps Sarah, or one of the Banning sons, or even perhaps Emmaline whom most certainly deserves a happily ever after. 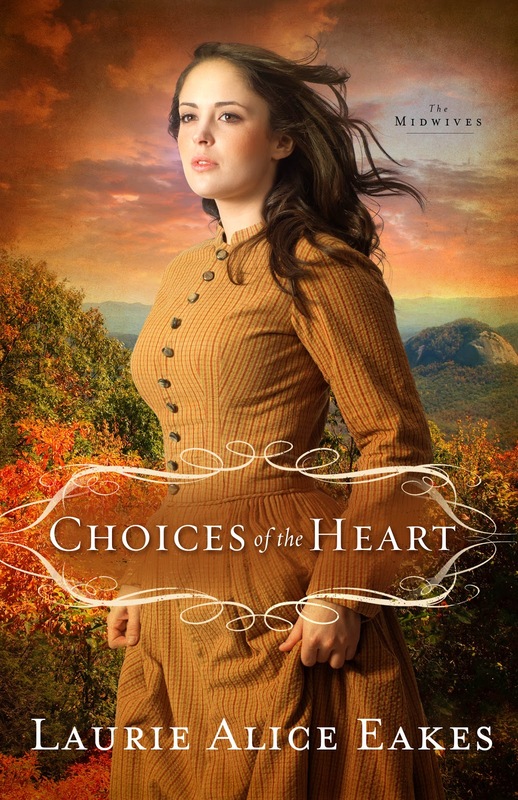 Book Review - "Choices of the Heart"
"Choices of the Heart," book three in Laurie Alice Eakes' The Midwives series, will draw you right into the story from the very beginning! When we start the story Esther is packing her things and preparing to leave to escape the rumors and scandal. Esther's family does not want her to leave and Esther does not want them to know where she is going, so she leaves under the cover of darkness with two individuals whom she does not know. Esther believes she is going to be a school teacher. However, the real purpose that Esther has been brought to Virginia is to become a wife. Esther finds herself being pursued by two men; two men whom want to become her husband and they are on opposite sides of a family feud throwing Esther in the midst of it all. Esther must learn to trust, follow her heart and do what she knows she must do in the midst of hardships, deception and love. The author really brings alive the time periods with her descriptions and the events that take place in the story. Esther is a very strong main character and one I admired her throughout the story. This book is filled with everything to make a good story - scandal, romance, and deception. If you have enjoyed this series, you will enjoy this latest book as well! Book Review - "Bible Stories that end with a Hug!" "Bible Stories that end with a Hug!," created by Stephen Elkins and illustrated by Simon Taylor-Kielty, is one of the cutest children's books I have seen! This book is filled with Bible stories with lessons that are geared for young children. Each story is on one page, so it is short and to the point and there is an illustration to go with each story as well. The stories go in the order they are found in the Bible, so the first story is about when God created everything, then a few stories after is Noah's Ark, then there is Joseph and his coat of many colors, and near the end there are stories of Paul and Silas, and serving and loving others. This is a perfect book and would be a perfect gift for any and every child! It is a perfect size for children as it is not overly big and it has a padded hardcover. The illustrations are adorable and soothing. Each story is short so a child's attention will easily be kept while reading. Each story ends with a hug! time, this section tells the child to hug someone that fits the description that is given. This is such a nice and cute concept to incorporate into this book! Book Review - "Waiting for Spring"
I have been waiting for Amanda Cabot's second book in her Westward Winds series to be released ever since I finished book one, "Summer of Promise" and I was disappointed at all! "Waiting for Spring" continues on from book one and tells of Charlotte moving on after her husband's death and trying to hide from the Baron and protect her son David. Charlotte has not told her new friends where she has moved from and she has changed her name that she goes by in order to protect herself and her son from the man who believes that her deceased husband stole money. Charlotte is happy sewing dresses and being able to spend time with David. When she meets Barrett whom is courting Charlotte's friend Miriam, Charlotte realizes that she may not be content as she thought she was as she finds herself developing feelings for Barrett. The more time that they spend together and how he interacts with her blind son David, Charlotte finds herself opening up and finally trusting someone with her past. However, danger is closer than she realizes until she finds David and herself, as well as the ones she loves in danger. I loved this book as much as the first one in the series and cannot wait for book three! I am assuming that book three will focus on Elizabeth, but I am hoping that the three sisters, Abigail, Charlotte and Elizabeth will all be reunited and will all play roles in the third book. I loved the characters this book, and the relationships between them. Charlotte is not afraid of what others think of her as she is friends with those of the upper class and yet she takes the time and sacrifice to sew for those whom others look down upon on. Gwen and Miriam are both great friends to Charlotte and play such vital roles in the story. Barrett really discovered himself in this story and followed his heart instead of just his head and I love the interactions between him and Mr. Yates as well as his brother. 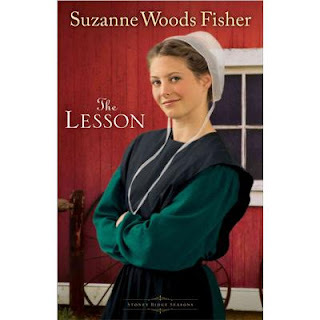 This is a must read for historical fiction fans, but I encourage you to start with book one! The fifth book in Robin Jones Gunn's Glenbrooke Series, "Clouds," is such a great addition to this series! I read it so quickly and enjoyed the story so much! Shelly has to move back home as things are not going quite as planned with her job. As soon as she returns home she is filled with memories of Jonathan, a boy whom lived next door and a boy whom she fell in love with. Not only is Shelly trying to sort things out financially, she is now dealing with issues of the heart as she cannot get Jonathan out of her mind and heart and discovers that she really does love him. On a trip to Germany, Shelly suddenly discovers Jonathan is there as well! After many years of not seeing each other, the day they once again have contact is that same day that Jonathan's engagement is announced, his engagement to another woman. Is it too late for Jonathan and Shelly or is this part of God's plan for them? I have fallen in love with this series - the town, the characters and the stories! I love that the characters from the previous novels all play roles in the later books. I think Shelly is one of my favorite characters so far in the series. Shelly is so easy for readers to relate to as she is dealing with common, everyday issues with her job, money, having to move back home, trying to figure out whether to move ahead or wait. I highly recommend this book and series, believe me once you visit Glenbrooke you will not want to leave! Book Review - "The Lesson"
"The Lesson" is the conclusion to Suzanne Woods Fisher's Stoney Ridge Seasons. As much as I looked forward to reading this book, it was also sad to end it knowing this is it for the series. M.K. is still so interested in reading and detective work and finding herself in the midst of trouble. When M.K. has to take over teaching school she cannot believe that this is something she has to do, but of course wise Fern knows that this is what M.K. needs at this time. M.K. not only learns about teaching, but she learns about herself and others as well. Chris and Jenny are new to the community and appear to be full of secrets and M.K. is determined to discover the cause of the sheep farmer's death and Chris' connection to this as well. However, M.K. is reprimanded many times to leave the detective work to the police and she has more important things to focus on such as surviving as a teacher and helping Jimmy Fisher meet his future wife. When Chris and Jenny become closer with the Lapp family and Amos learns the truth about his wife's death, he must decide what to share with others and how he feels about Chris and Jenny. Jimmy discovers whom he really loves, and then life becomes a lot more crazier for M.K. as she decides she must make decisions for herself and search her heart as well. I have loved this series! The books are filled with so much - romance, secrets, family relationships, medical conditions, addictions, suspense and learning to live life to the fullest. The Lapp family is really a "normal/typical" family that they are easy to relate to. I was glad that Julia and Sadie were mentioned throughout the book so that I was able to know how their lives as turned out as well as Annie. The character Old Deborah plays a huge role in this series, although the magnitude of her influence is not discovered until the end of this book, but she is a great additon to the series as well. I look forward to seeing what this author writes next! Book Review - "Secretly Smitten"
Four excellent authors partner up once again to write another winner, "Secretly Smitten!" This is a quick, sweet read! I enjoyed each part of this book as I am a fan of each of these authors. The girls are all great main characters and as they are drawn into the mystery I felt myself becoming involved as well and wanting to join them in their pursuit to solve the mystery. Each of the women have their own situations involving love and romance and although they may not be looking, it comes looking for them! Each of the characters are so much fun to read about and spend time with as they are all unique and just fun! The setting of this book adds so much to this story and I loved being able to return to Smitten, Vermont, a quaint little town that comes alive on these pages! Irene Hannon's latest suspense novel is a winner and I cannot wait to read the next one in this new series! "Vanished" is book 1 in Hannon's new Private Justice series. Moira is an investigative reporter; however she never expected to have to go to a PI in order to solve a mystery that she played a role in. Driving home from work one night in heavy rain Moria encounters a woman and a man, the woman's terror filled eyes haunt Moria for days and weeks to come and the disappearance of the man without him helping at the scene of the accident leaves her feeling unsettled as well. Cal is intrigued by Moria and her story when she arrives at his office sharing her story. After they begin to work together on this Cal finds himself losing his heart as well; however he is hesitant to after the last woman he loved was killed because of him. As more and more clues and suspicions arise, the danger rises as well for all of those involved in the case. Hannon does an excellent job with drawing the reader into the midst of the story, into all of the suspense, drama and romance. The characters are all "normal" people whom the reader could interact with on a daily basis and the storyline is so realistic as well making it even more suspenseful and increasing the need to keep on reading until the end of the story. Cal and his PI partners are excellent main characters for this story as their characters are enjoyable to read about and each appear to have secrets of their own that will add to the stories that will follow "Vanished" in the series. I have loved Hannon's other books that I have read and I was not disappointed at all while reading this one except for the fact that I have to wait months to read book 2! "Echoes," book 3 in Robin Jones Gunn's Glenbrooke Series, tells Lauren's heartache and moving on after a breakup with her financee. Lauren is a person whom always has things happen to her, and hates having that pointed out to her as she is viewed as a "magnet for disaster." How can life possibly get worse after a hair disaster and ordering the special which is really something she is allergic to? Well it can! Lauren's fiancee drops the bomb that he lost his job and has been offered an opportunity that he cannot pass up, even if it means losing Lauren in his life. Lauren's brother Brad gets Lauren hooked up to the internet so they can have better contact, but also so Lauren can meet others online as well. As Lauren begins to correspond with a new friend, she works on repairing her heart and trying to move on, and relies on her friendships with other in town as she tries to make sense of her head and heart. This is a excellent book in this series! Not only, is Lauren a character that can be related to, but the main characters from the previous books, Jessica, Kyle, Teri and Gordon, all play key roles and I loved spending time with them once again! This is quick read as I was quickly drawn into Lauren's life and found myself empathizing with her. The author's descriptions of characters, settings and events allow me to create such vivid pictures and I feel as if I am actually a part of the story! I am so glad there are more books to read in this series!